Barrhaven is now a beautiful, booming ‘burb, the most rapidly growing area of the city, 20 km southwest of Ottawa’s downtown (Click here to see a Barrhaven Map). It is a thriving community, with bountiful family and neighbourhood resources (Click here to discover some of Barrhaven’s Community Resources). Within Barrhaven’s boundaries of the Greenbelt to the north, the Rideau River to the east, Hiway 416 to the west and the Jock River to the south, lies Barrhaven proper or “Old Barrhaven” between Cedarview Road and Greenbank. New residential development includes Longfields, Barrhaven on the Green, Davidson Heights, Chapman Mills, Winding Way and Stonebridge. Even newer communities like Half Moon Bay are being built or planned. Before municipal amalgamation in 2001, Barrhaven was a neighbourhood in the City of Nepean with fewer than 35,000 people. 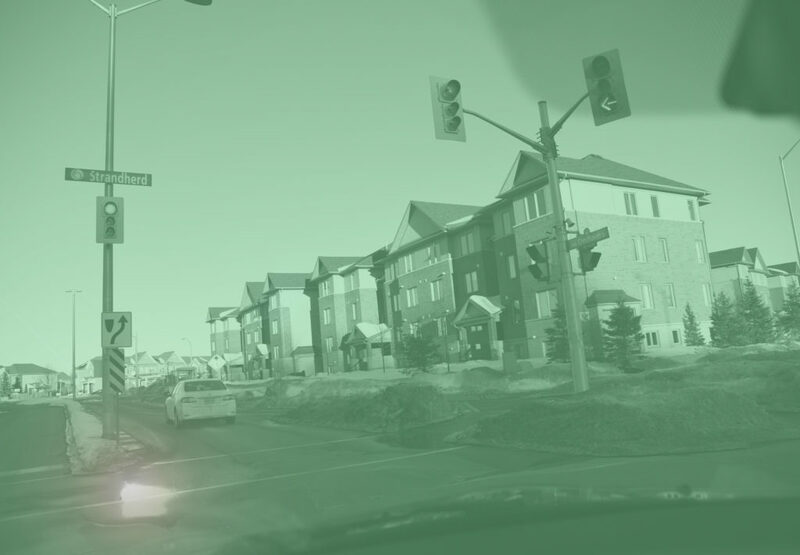 With new developments being built, Barrhaven’s population will surpass 100,000 in a few years. At one time not so long ago, Barrhaven had only one grocery store, no theatre, not even a bar. But now, two new shopping centres at the junction of Strandherd and Greenbank, as well as smaller lifestyle centres spread throughout the area (Click here to see a Mall Map) make Barrhaven a prime shopping destination. Hard to believe that at one time long ago, Barrhaven was merely a school on a road.